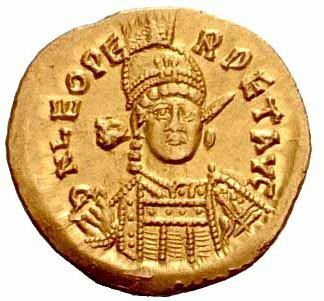 Flavius Leo Iunior Augustus was emperor in the East for less than a year in 474. He was the son of Zeno and Ariadne, and maternal grandson of Leo I and Verina. As Leo's closest male relative, he was named successor upon his grandfather's death. After taking his father as colleague, he died of an unknown disease about 10 months into his reign in November, 474. It was widely rumored that he might have been poisoned by his mother Ariadne in order to bring her husband Zeno to the throne. He was indeed succeeded by his father, although his grandmother Verina took advantage of his death to conspire against Zeno.